Jonathon Casada, GMB certified graduate master builder and designer, has come from three generations of designer home builders and has 39 years of experience in the custom home building business. Like his father and grandfather before him, quality and craftsmanship has become his heritage. With this experience, Jonathon has learned how to beautifully create, design, schedule, coordinate and construct your new custom home in Houston with the highest standard of quality and pride. In the Houston design build custom home builder market, Casada Custom Homes is the one to turn to. 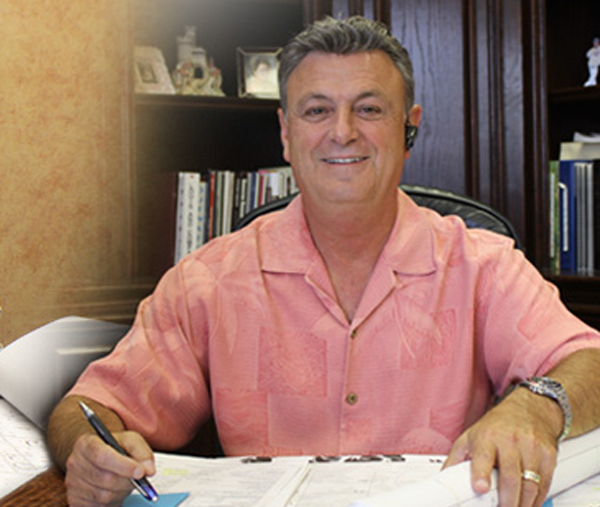 Jonathon has been building and designing custom homes in Houston for 39 years. In the past eighteen years Jonathon’s main focus has been in the Memorial area, including the Memorial Villages, Rivercrest Estates, Tanglewood, River Oaks, Bellaire, West University, Royal Oaks Country Club and inside Loop 610. The price range on these beautiful custom homes are from $550,000 to $4,500,000. A member of the Greater Houston Builders Association for 34 years and a member of the Board of Directors and past president of the Custom Builders Council. 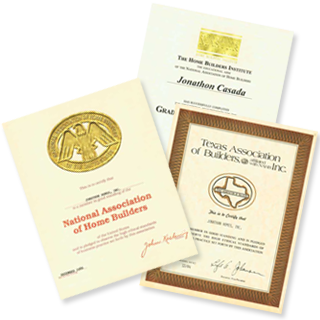 Jonathon Casada also serves on the National Home Builders Association Board of Directors, Texas Association of Builders life director and has received many achievement awards for his efforts to improve the design build custom home builder industry. Most recently he has received the Custom Builder of the year award from the Greater Houston Builders Association and has attained his Graduate Master Builders degree. All custom home buyers want the assurance that their home will be constructed, from foundation to finishing touches, with the finest materials by the most experienced, cost-conscious experts available. Rest assured that with Jonathon’s extensive background, it would be difficult to find someone else as qualified to build and design your custom home. You see, although Jonathon has won four prestigious PRISM awards for design and construction, he places great emphasis on the service and the complete satisfaction of each of his customers. He personally oversees the construction of each and every home and follows through with his homeowners from the initial meeting until after move-in. Jonathan’s expertise in custom designing homes along with his personal attention ensures the best quality possible and will give you, as the new homeowner, peace of mind. Call Casada Custom Homes today to speak to the master builder himself at 281-808-7683.